The Fold N' Store Sling is the perfect bath support solution when space is an issue but you don’t want to compromise on features. 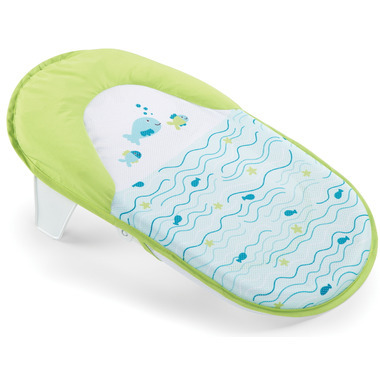 It includes a removable soft mesh fabric sling with integral headrest to cushion baby’s head. The frame folds in half for convenient storage, whether at home or when travelling. Clumsy, not as it appears at all. Affordable and easy to use. Makes baby washing easy in the sink or baby bath.